** spoiler alert ** This book felt like it tied together to neatly. Annamaria--who is duty bound to her family--falls in love with the guy conveniently across the street. This is the only arrangement that would allow her to marry. Luciana--the former aristocrat--falls for a well to do member of society. This fact makes it easier to be accepted by her new mother-in-law, and also allows her to easily return to the way of life that she is accustomed too. These things felt to "and they lived happily ever after" to me. Overall I did enjoy much of the story. I enjoyed the historical themes, and learned a lot from them. The characters were interesting. My qualms about the "perfect" pairings of two of the characters did not detract from my enjoyment of the story. 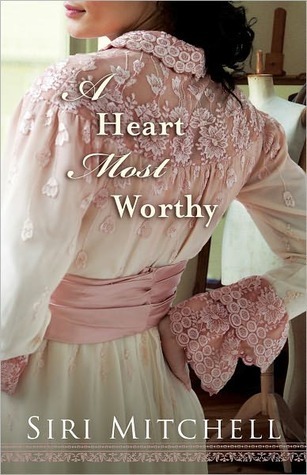 Sign into Goodreads to see if any of your friends have read A Heart Most Worthy.